2 to 4 months Verbal play through cooing, gooing and laughing. Vowel sounds heard such as ooohh, eee, and ahhh. Turns head toward sounds and can begin to discriminate one sound from another. 4 to 8 months Babbling begins. Some Consonant sounds can be heard. Anticipates an event (e.g. peek-a-boo) and follows a line of regard (e.g. visually follows toy moving across floor) as well as joint attention (i.e. is capable of visually attending to object with caregiver). 8 to 12 months Syllable variation (e.g. badugatadudah). First word approximations (e.g. dada for daddy). Non-verbal communication. Jargon (i.e. unintelligible speech) is present. Relates words with physical objects (e.g. understands that the word “ball” actually means the object ball). Responds to simple phrases such as “no”. 1 to 2 years 10-15 words at 18 months, 40-50 words at 24 months. Uses mostly nouns and pronoun me/mine. Jargon (i.e. unintelligible speech) still present. Increased attention to toys. Changes behavior in response to comments made to him/her. Knows a few simple commands with gestures needed at times. Understands simple questions. Points to simple pictures. 2 to 3 years 150 words at age 2; 300-400 at age 3 years. Uses two-three word phrases frequently. Asks simple questions. Fluency can be poor. Jargon (unintelligible speech) mostly gone. Vowel sounds intact. Comprehension shows rapid increase. Responds to more 2 step commands with prepositions (e.g. Pick up the ball and put it on the table). 3 to 4 years Uses 600-1000 words and 3-4 word sentences. Pronouns and adjectives are used as well as some adverbs, prepositions, past tense and plurals. Answers what, where and when questions. Understands 1500 words. 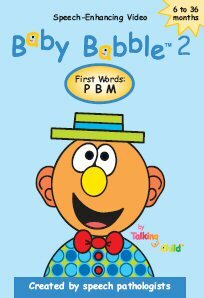 Recognizes gender differences, plurals, pronouns, adjectives, and colors. 4 to 5 years Vocabulary increases to 1000-1600 words and 4-6 word sentences. 3-4 syllable words are being used. Articles appear. Uses more adjectives, adverbs and conjunctions. Fluency improving. Comprehends 1500-2000 words. Understands if, because, why and when. Follows complex directions. 5 to 6 years Vocabulary of 1500-2100 words. Uses complete 5-6 word sentences. Fluent speech. Many multi-syllabic words are used. Understands 2500-2800 words. Understands more complicated sentences. *It is important to note that this information depicts a general range of development, and should only be used as a guide. If you have any concerns regarding your child’s speech development, we recommend that you contact a pediatrician or speech-language pathologist.